I have an online website that I'd like to move to a new URL. Therefore I need to edit all website html files (100+ files) to update the URL links inside each file of this website. I'm thinking of making an off-line copy of the website files to edit. 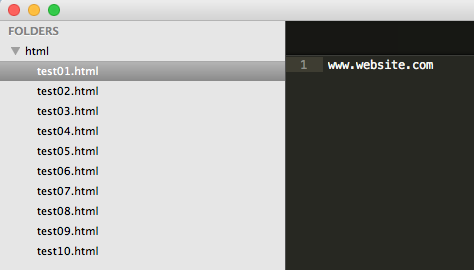 Is it possibile to use Automator OS X to - open each file in the website file folder - search inside the file content for a specific URL link (say "www.website.com") and change it to the new URL (say "www.website.com/old")? 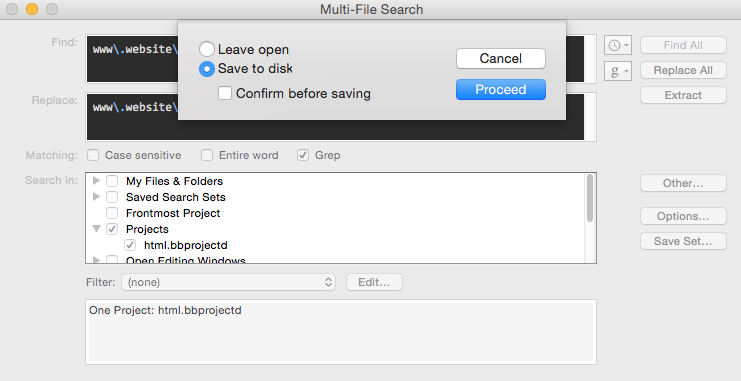 Else, do I need to rely on a text editor + Automator to make this process? Or, can it be done using a UNIX script that you run in the Terminal ? Thanks for any advice on how to perform this process! sed 's|website.com|website.com/old|g' "$i" > "new/$i"
If you're commonly editing website file contents you should invest in an editor. If you are unsure on your changes select Leave Open because if you select Save to disk it is very hard to revert back. perl -pe 's|www.website.com|www.website.com\/old|g' "$htmlfile" > $TEMPFILE && mv $TEMPFILE "$NEW/$htmlbase"
There are other editors out there but these are the two I primarily use. You could also do this in pure AppleScript but you haven't shown any code and mentioned terminal so I made the above in Perl. Not the answer you're looking for? 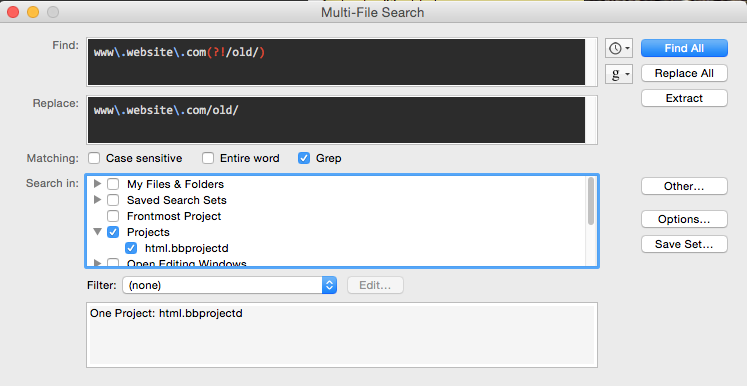 Browse other questions tagged automator script text-editor html websites .